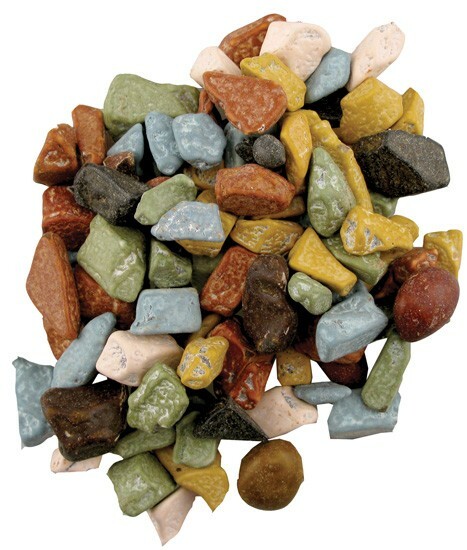 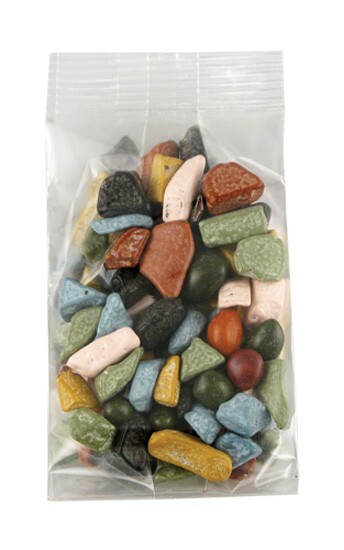 2oz clear heat sealed cello bag filled with candy coated milk chocolate candy river rocks. Includes up to 4 color process imprinted label applied to the bag. Available in other sizes and packaging styles.